Top Ten: French Male Models and Actors on Instagram — CROWD. We put together a list of French male models who make all of Instagram vivre d’amour et d’eau fraiche. Willy Cartier's career kickstarted in 2010 when he was chosen by Givenchy's Riccardo Tisci for his fall/winter campaign. The same season, the model was tapped by Benetton and Evian for high-profile commercials that turned him into one of the most ubiquitous faces in the modeling industry. The androgynously beautiful 24-year-old has been quiet on the modeling scene lately, but his 122k Instagram followers don't seem any less dedicated for it. A model and Instagram star from Frejus, France, Enzo Carini has worked with Abercrombie & Fitch. Also an active Youtuber, Carini documents his travels as well as his fitness regimen in his videos. His Instagram is a palette of dark bronzes and coppers, showcasing his sweet but intense vibe. 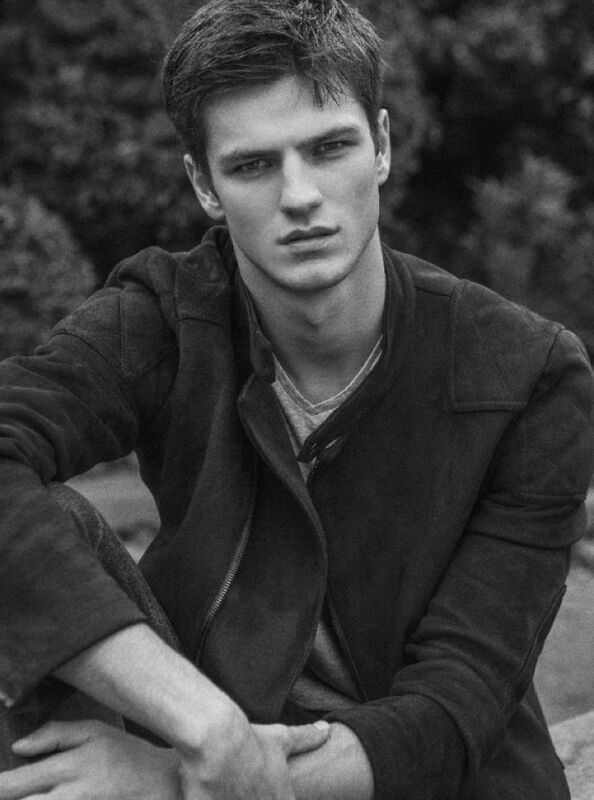 6-ft-tall, green-eyed Hugo Philip is a model from Paris currently working with Armani. Philip studied commerce at ESC Montpellier, earning a degree in business engineering. He has also worked with André , Citadium and French Disorder. Born in Nice, France, "Richard-Henri" Deiss began modeling in 2012 in Montreal at the suggestion of his mother, also a fashion model. Also an actor and extreme rollerblader, Deiss has worked with a number of international brands. He is currently modeling in Paris, and the Instagram photos keep us coming back for more. French actor and Model Gaspard Ulliel is the face of Bleu de Chanel, and starred as Hannibal Lector in Hannibal Rising. Born in a suburb of Paris, Ulliel is currently the face of Longchamp along with Kate Moss. His Instagram is full of starkly lit portraits that make us want to stare at him forever. Also a Web Art Director, model Bastien Treiber is no stranger to the Instagram race. His feed contains photos of himself in a variety of lovely travel destinations, as well as other passions of his, like interior design. An actor from a young age, Pierre Niney is well-established in the French cinematographic landscape. 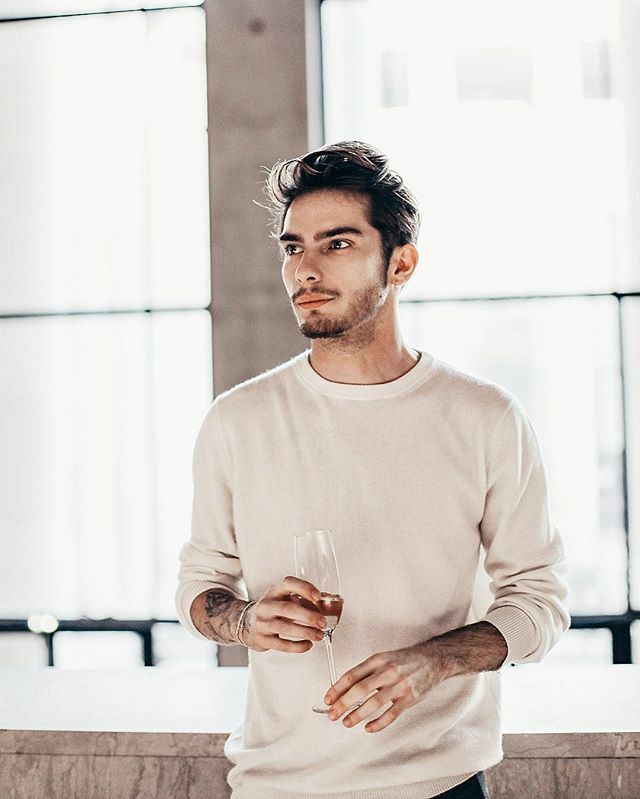 In 2010 he became the youngest member of the Comédie-Française at 21, and starred as Yves Saint-Laurent in the 2014 biopic, for which he received several awards. His Instagram shows off his quirky sense of humor as well as his razor-sharp jawline. 24-year-old fitness and lifestyle Instagrammer Arthur Benedetti posts lots of ocean-toned, beautifully framed photos on his feed. His 17.5k followers love his dreamy brown eyes and bold brows. Olivier Rousteing is a French fashion designer, and the creative director of Balmain. After growing up in Bordeaux, Rousteing moved to Paris and eventually became a designer at Roberto Cavalli. His Instagram feed contains photos of Beyonce in his designs, as well as plenty of his own incredibly handsome face. Tristan Tymen was the first male model from France (Lyon, to be exact) to become Overall Winner of Elite Model Look in 2015. He has done shows for GQ Magazine, as well as a variety of magazines. He is currently exploring Australia, and his 12k Instagram followers are loving the photo stream.